With cinema having taken shape amidst such early iconic images as Broncho Billy firing into the camera, a train coming straight for the audience, and a rocket going into the moon’s eye, it was inevitable that features filmed in 3-D would opt for comparable effects so as to show off the wonder of the process. But there were more varied genres explored in the format, and by more eclectic filmmakers from all over the world, than are commonly recalled. With 3-D for today’s movies fully digitized into lockstep with DCP, the Quad takes a look back at some of the more arcane, quixotic, and disreputable uses of the process in the ’80s over-and-under boom, that was heavy on horror sequels, sci-fi adventures, idiosyncratic cult movies, and grindhouse fare. Join us for an all-35mm survey. Programmed by Harry Guerro. 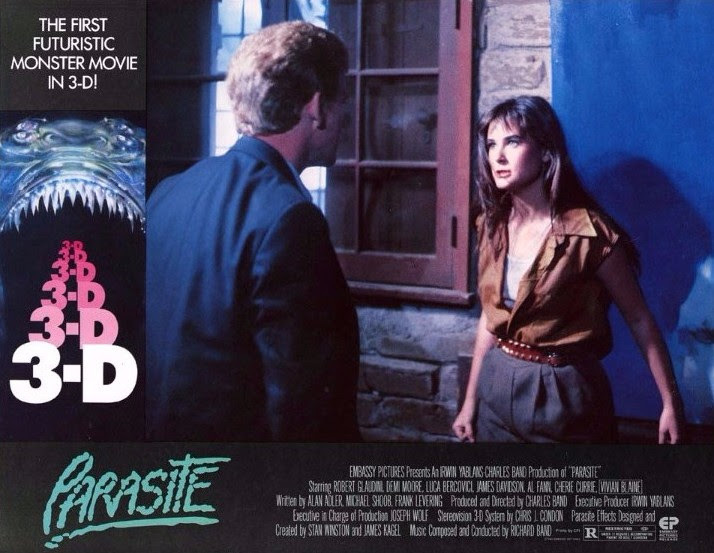 World premiere of new 35mm 3D print of the U.S. release version courtesy of Garagehouse Pictures with original distributor Sam Sherman in person! With director Worth Keeter in person!